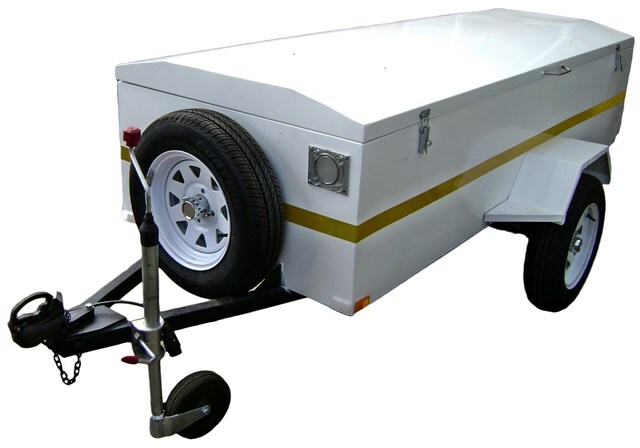 This luggage trailer for hire of 1,8m in length is perfect for a weekend away to carry extra luggage or the transportation of small household goods, boxes, groceries, beverages and loose items etc. This unit has a light duty single axle with a carrying capacity of 750kg. Additional features: Trailer can be used without lid. No onboard brakes.